Property Location With a stay at Maalifushi by COMO in Maalefushi, you'll be near the beach and minutes from Island Port. Rooms Make yourself at home in one of the 65 air-conditioned rooms featuring iPod docking stations and flat-screen televisions. Rooms have private patios. Satellite programming and DVD players are provided for your entertainment, while complimentary wireless Internet access keeps you connected. Bathrooms feature bathtubs or showers, complimentary toiletries, and bathrobes. Rec, Spa, Premium Amenities Pamper yourself with a visit to the spa, which offers massages, body treatments, and facials. You can take advantage of recreational amenities such as a health club, an outdoor pool, and a spa tub. Additional features include complimentary wireless Internet access, concierge services, and babysitting/childcare. Dining Grab a bite at one of the resort's 2 restaurants, or stay in and take advantage of room service (during limited hours). Quench your thirst with your favorite drink at a bar/lounge. A complimentary breakfast is included. Business, Other Amenities Featured amenities include a business center, a computer station, and dry cleaning/laundry services. Pets not allowed Check-in time starts at 2 PM Check-out time is noon Grab a bite at one of the resort's 2 restaurants, or stay in and take advantage of room service (during limited hours). Quench your thirst with your favorite drink at a bar/lounge. A complimentary breakfast is included. Extra-person charges may apply and vary depending on hotel policy. Government-issued photo identification and a credit card or cash deposit are required at check-in for incidental charges. Special requests are subject to availability upon check-in and may incur additional charges. Special requests cannot be guaranteed. Pamper yourself with a visit to the spa, which offers massages, body treatments, and facials. You can take advantage of recreational amenities such as a health club, an outdoor pool, and a spa tub. Additional features include complimentary wireless Internet access, concierge services, and babysitting/childcare. Make yourself at home in one of the 65 air-conditioned rooms featuring iPod docking stations and flat-screen televisions. Rooms have private patios. Satellite programming and DVD players are provided for your entertainment, while complimentary wireless Internet access keeps you connected. Bathrooms feature bathtubs or showers, complimentary toiletries, and bathrobes. 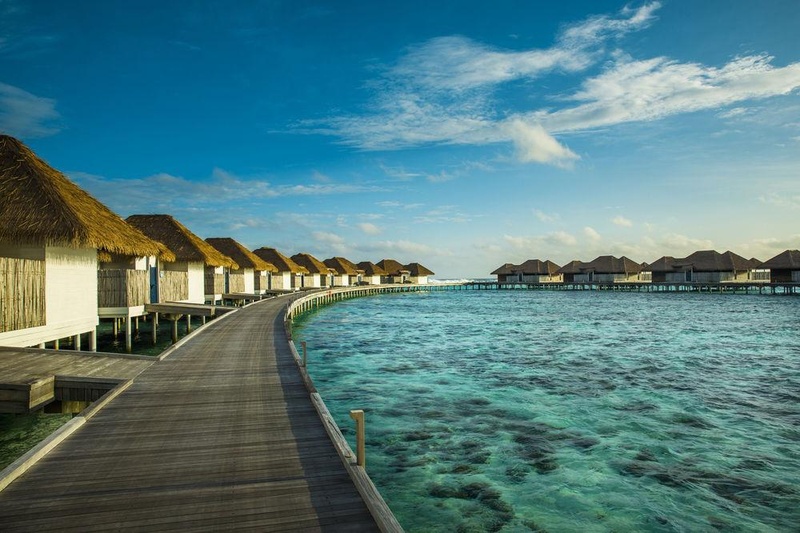 With a stay at Maalifushi by COMO in Maalefushi, you'll be near the beach and minutes from Island Port. Distances are calculated in a straight line from the property's location to the point of interest or attraction, and may not reflect actual travel distance. Distances are displayed to the nearest 0.1 mile and kilometer. Island Port - 0.2 km / 0.1 mi Meedhuffushi Island Pier - 83.9 km / 52.1 mi Meedhuffushi Island Beach - 83.9 km / 52.2 mi Dhidhoofinolhu Marina - 139.6 km / 86.7 mi Manta Point - 147.6 km / 91.7 mi Vakarufalhi Beach - 147.8 km / 91.8 mi Dhangethi Beach - 149.4 km / 92.9 mi Ranveli beach - 150.4 km / 93.5 mi Villingilivaru Island Pier - 150.5 km / 93.5 mi Maafushivaru Island Pier - 150.9 km / 93.8 mi Maafushivaru Island Beach - 151 km / 93.8 mi Rihiveli Beach - 167.4 km / 104 mi Olhuveli Beach - 172.1 km / 106.9 mi Fihalholi Beach - 174.4 km / 108.4 mi Rannalhi Beach - 177.3 km / 110.1 mi The preferred airport for Maalifushi by COMO is Male (MLE-Male Intl. ) - 210 km / 130.5 mi. You must present a photo ID when checking in. Your credit card is charged at the time you book. Bed type and smoking preferences are not guaranteed. Your reservation is prepaid and is guaranteed for late arrival. The total charge includes all room charges and taxes, as well as fees for access and booking. Any incidental charges such as parking, phone calls, and room service will be handled directly between you and the property. Extra-person charges may apply and vary depending on hotel policy. Government-issued photo identification and a credit card or cash deposit are required at check-in for incidental charges. Special requests are subject to availability upon check-in and may incur additional charges. Special requests cannot be guaranteed. Excellent wellness hotel. Awesome rooms and service in a great location. Awesome vibe. Beautiful beach. So many activities. Kids club amazing. Amazing customer service. Amazing seafood barbecue. Amazing food. Good food.